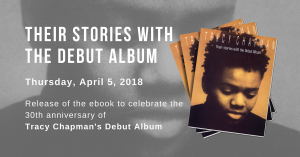 Lyrics from ‘3,000 Miles’, a song from Tracy Chapman’s seventh studio album “Where You Live” paints a stark picture of struggle and suffering. Though written as a semi-autobiographical account of Tracy’s personal pilgrimage from Ohio to California, it is impossible today not to draw allegorical comparison between the lyrics and the current refugee crisis. Such comparisons were vilified when we asked fans to post photos of themselves ‘where they live’ along with the album’s cover. One fan Ammar replied, “I live in Syria nothing left to show”. The distance from Syria to Germany is 2,314 miles, not quite 3,000 but when a person is in fear or his or her own life, distance quickly becomes irrelevant. Although obviously not written about current affairs in 2015, Chapman has a talent for capturing the essence of the human condition, lyrics which transcend time and situation but are always somehow familiar and applicable. One fan responded to Ammar’s sobering comment, simply; “We are with you all in our hearts”. This warming reply is testament to the fact that Tracy’s music creates a sense of community with a global collection of like-minded people. Though they may never have met – race, gender, age, sexual orientation and physical ability remain irrelevant as we all share the same social conscience; an ideology and hope for a better world. If only in a small way, it makes this spinning rock on which we live a more united universal home. Home is Where You Live but Where You Live can be far more than a physical space.